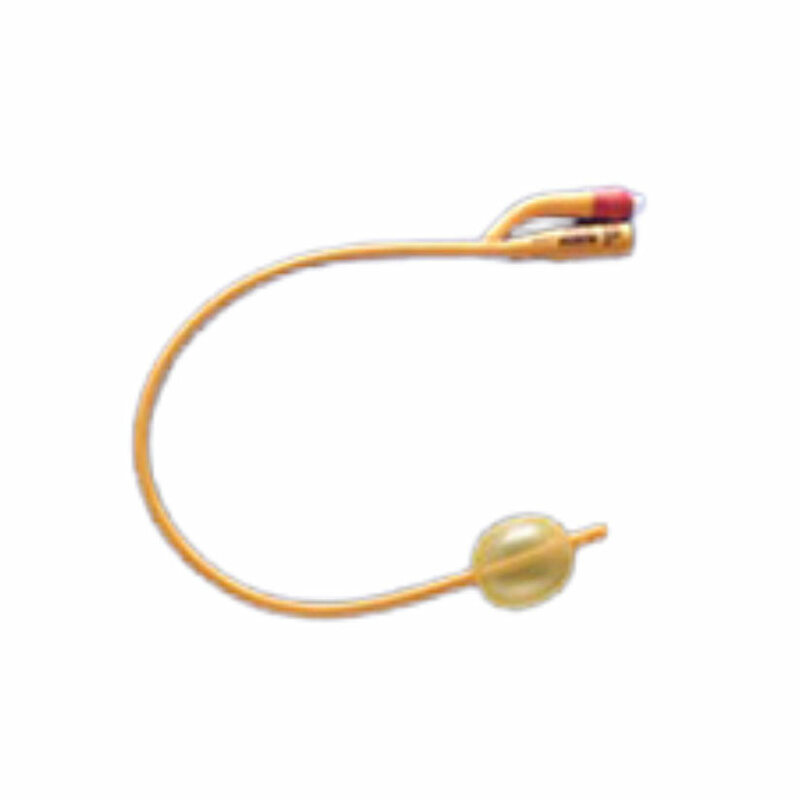 The Teleflex/Rusch Gold Silicone Coated Latex 2-way Foley Catheter has two, opposed eyes, a 30 cc balloon and is 40 cm (16") L. It is sterile for single-use and color coded. This innovative design is specifically intended to minimize leakage, eliminate encrustation, maximize drainage and prevent urethral tissue damage. 30 cc balloon, 2-way Foley.